If I were trapped on an island and surrounded by devastatingly handsome men, but could only eat one food for the rest of my life, and that food was strawberries? I would be totally fine, I promise, BRING ON THE DEVASTATINGLY HANDSOME MEN ISLAND! 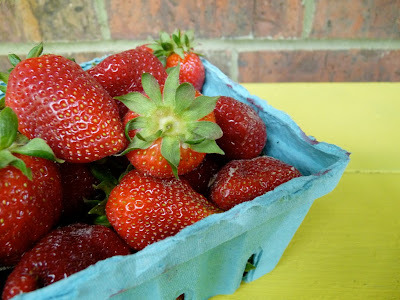 Seriously though - I love strawberries, especially in the spring, and especially when I buy them at my local farmers' market. What's not to love? Sweet, delicious and one cup contains 150% of your daily vitamin C while clocking in at just 50 calories! 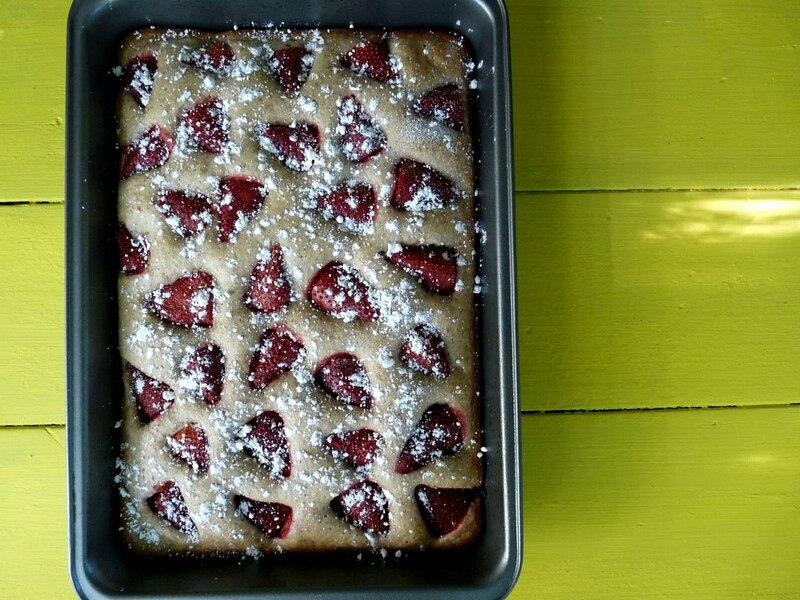 Strawberries are admittedly less healthy when served atop a cake, but hey - we do what we can. And as this cake is frosting-free, we can easily pretend that it's totally good for you. Right? Right! Now get thee to a kitchen and bake this cake immediately! 1. 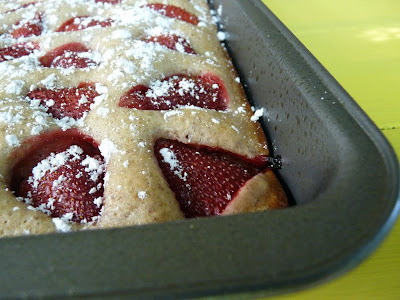 Spray an 9" x 13" pan with baking spray and preheat the oven to 350 degrees. 2. Sift the flour, salt, baking powder, cinnamon into a bowl and set aside. 3. Combine flax seed meal with the warm water in a large bowl. Whisk the mixture vigorously for about 30 seconds or until it thickens up to a consistency similar to beaten eggs. 5. Stir in the sifted flour mixture until a smooth batter forms, then spread the batter into the prepared pan. 6. 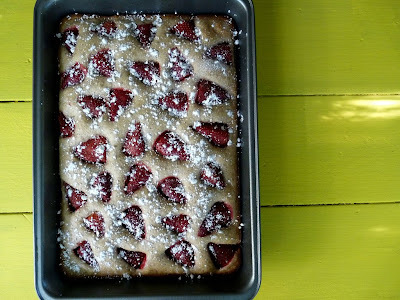 Place the strawberries, skin-side up, over the batter. 7. Bake the cake in the center of a preheated oven for about 30 minutes (my oven is a fast cooker, so you may want to check yours to make sure it's finished). 8. Allow the cake to cool completely before dusting with confectioners sugar. Enjoy!